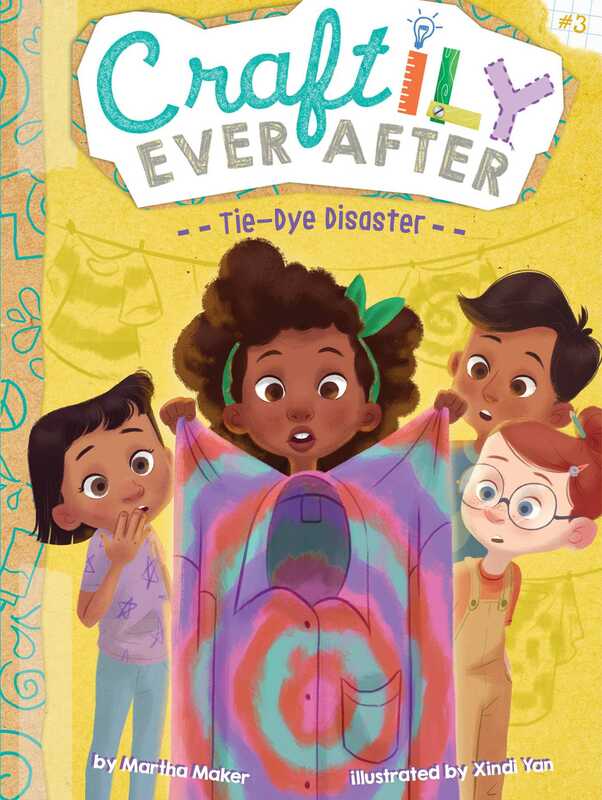 In this third book of the Craftily Ever After chapter book series, Maddie, Emily, Bella, and Sam accidentally tie-dye a shirt Maddie’s mother made for the mayor! Maddie gets her knack for fashion and sewing from her mom, a seamstress. And she’s made a lot for an eight-year-old—from theater costumes, to brand-new pairs of pants, to pillows for the Craft Clubhouse. But she’s never tie-dyed before! Maddie, Emily, Bella, and Sam have lots of fun turning clothing bright, groovy colors. But then something not so bright and groovy happens. The kids accidentally tie-dye a shirt Maddie’s mother made for the mayor of the town! They try all sorts of things to fix their mistake, but nothing works. What is the foursome going to do about their tie-dye disaster?